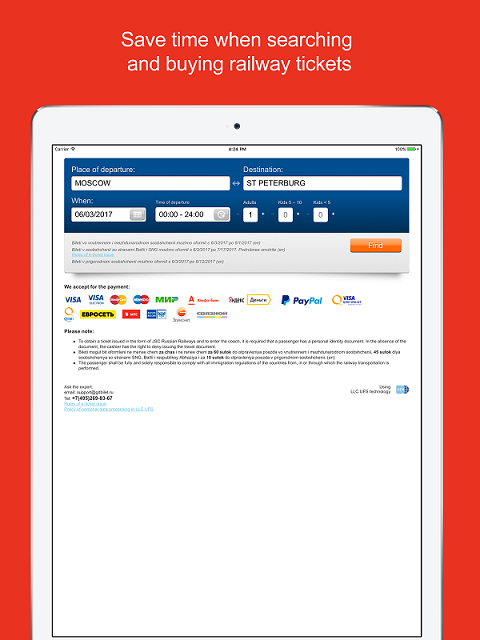 Russian Railways online ticket application. No more queues at the box office! 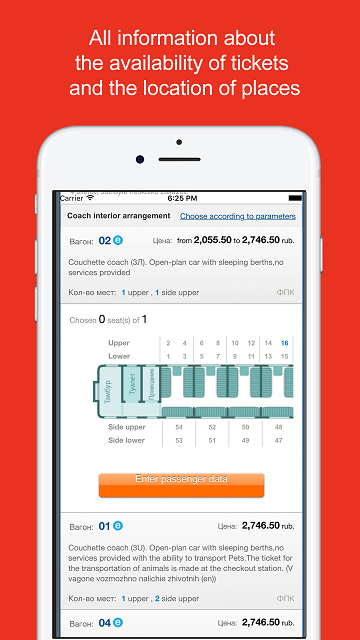 Buy train tickets for the best seats in the cars - now you can choose them online, through your mobile device, download the application. And the Good Way. Only train tickets, nothing superfluous. Without advertising, without unnecessary texts and links. Clear and simple design. The service charge is about 15% of the ticket price. It includes the cost of payment intermediaries and the costs of supporting and developing the service. With children's tickets "without a seat" no service fee is charged. 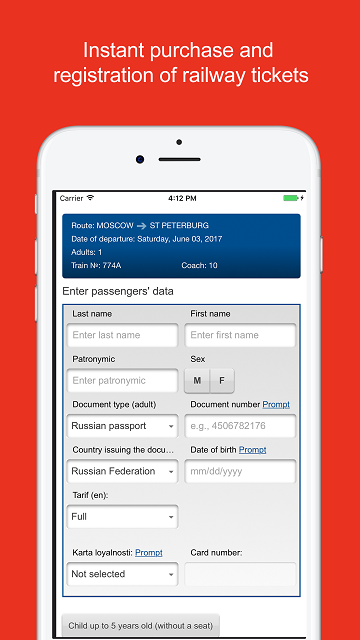 RZD.ONLINE is an application that helps to buy railway tickets for all destinations in Russia and to visit the nearest neighbors. 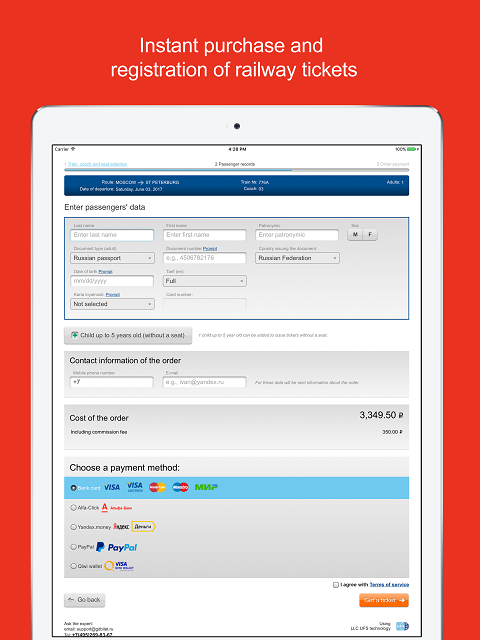 Purchased train tickets must be printed and then exchanged at the ticket office or terminal for a railway ticket that you are familiar with. If the sign "ER" is lit in the annex opposite the train, then a printout with a barcode or an electronic ticket on your gadget will be enough to board the car. 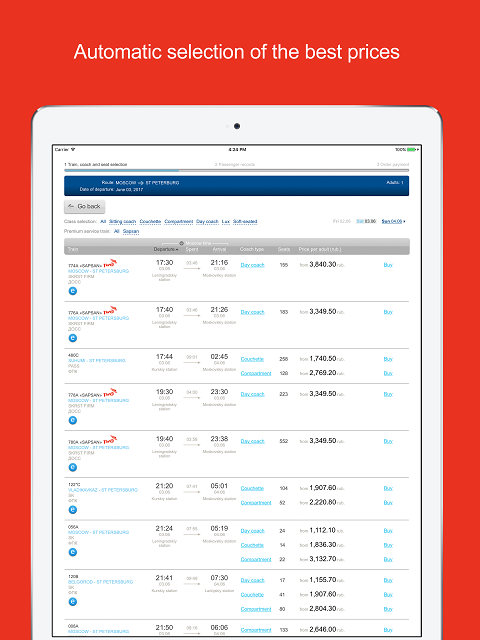 We offer online booking of tickets for the train in all directions, which allows you to book tickets for a trip without having to look for them at the train stations, spending time in lines. We can offer the lowest prices for tickets with the possibility of booking seats for 45 days - you can choose any suitable options, making the trip the most enjoyable. You can always refuse a ticket by handing it to the ticket office of the station. 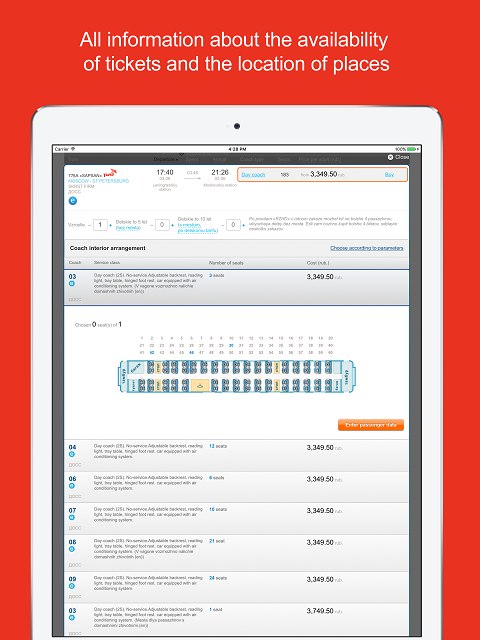 Thus, you can buy cheap tickets for any destinations without leaving your home. 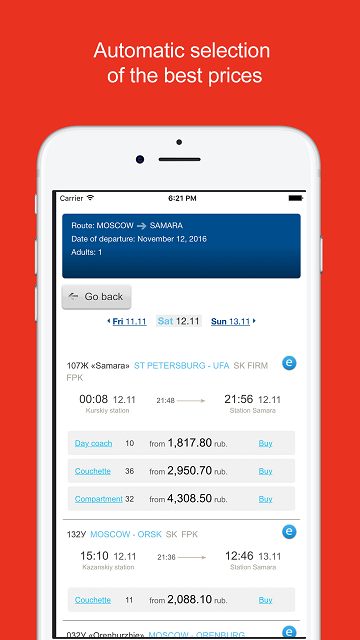 In order to use the ticket, it is enough to buy and exchange it for a boarding pass at any ticket office of JSC Russian Railways, at the check-in counter of electronic tickets, or at the self-registration terminal. No more queues at the box office! To buy railway tickets a simple bank card will help. The best places in the cars can be selected online through your mobile device, download the application. And the Good Way. The module was developed by UFS LLC as the official technology partner of Russian Railways on the basis of license agreement No. 1111 of November 26, 2012. 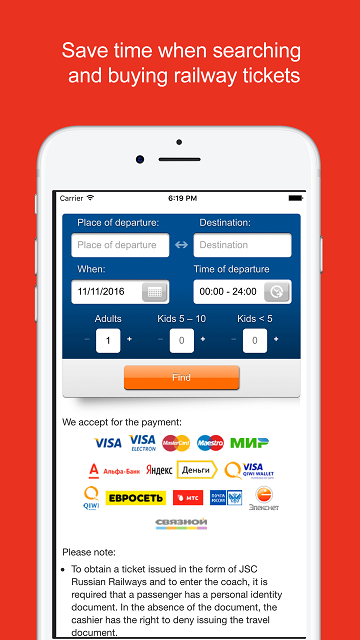 The application was developed by LLC "Extrip" using the module on the basis of contract No. 12/373 of 29.03.2012.